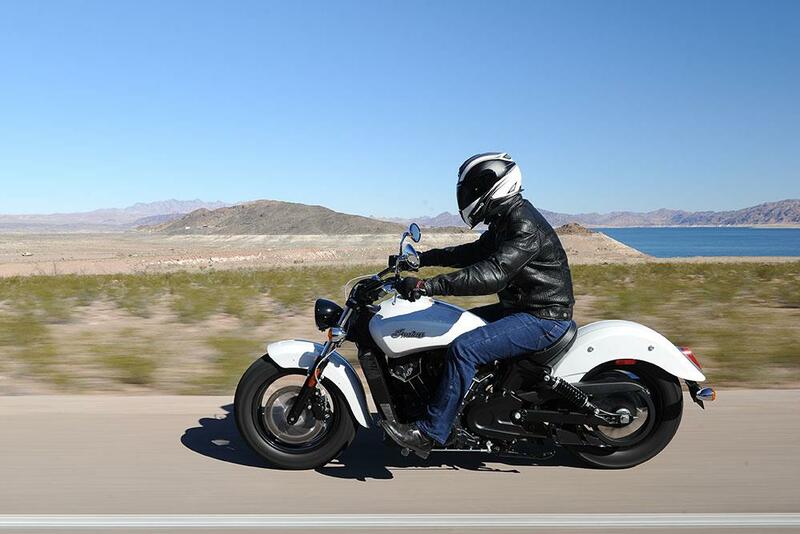 This is a great-looking, well-built, quality bike that is a more affordable entry to an authentic cruiser made by one of the world’s oldest motorcycle firms. The smoothness of the engine and the lightness to the ride is very enjoyable. We need to get one back in the UK for a full test but first ride impressions are serious impressive. Sitting on the bike for the first time gives an immediate impression of lightness and it feels friendly and approachable. This is no scary beast for sure. The feeling of lightness and agility is helped by the low 642mm seat height which allows most people the option of putting both feet flat on the ground for maximum control when stopped. 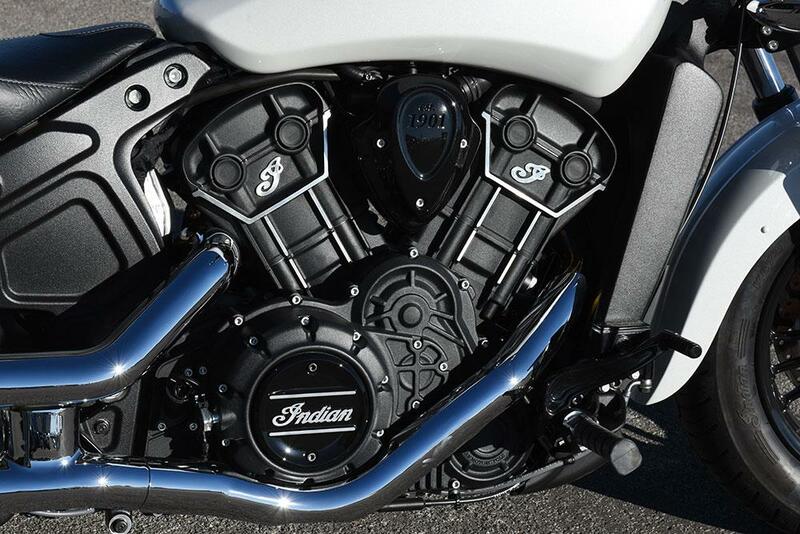 Riding the Indian Scout Sixty proves as easy as the company hoped it would. It’s not perfect for sure. The suspension is not going to keep press-on riders happy for long as it seems under-damped and reacts to sharp-edged mid-corner bumps which knock the bike off line. It’s not scary; just something you have to be aware of. The standard tyres are Indian-branded but made by Kenda and while they are OK; they aren’t as good as some more mainstream manufacturer cruiser rubber. The seat was giving me a numb backside after about 40miles of riding but this is always something that affects other people differently of course. 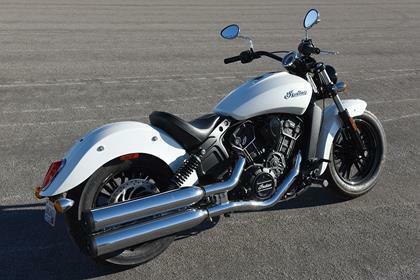 The bike is heavily based on the existing 1133cc Indian Scout model but has a new 999cc engine, large amounts of the chrome parts changed for black and has been aimed at a younger, more urban customer who wants something a bit less flashy and classic looking. The new motor is smooth, free revving and feels beautifully connected to the throttle. It’s just nice to ride as it’s so simple. The engine capacity change has come from narrowing the bore to give the 999cc overall engine size with a corresponding drop in power to 78bhp and peak torque of 65.6ft lbs. 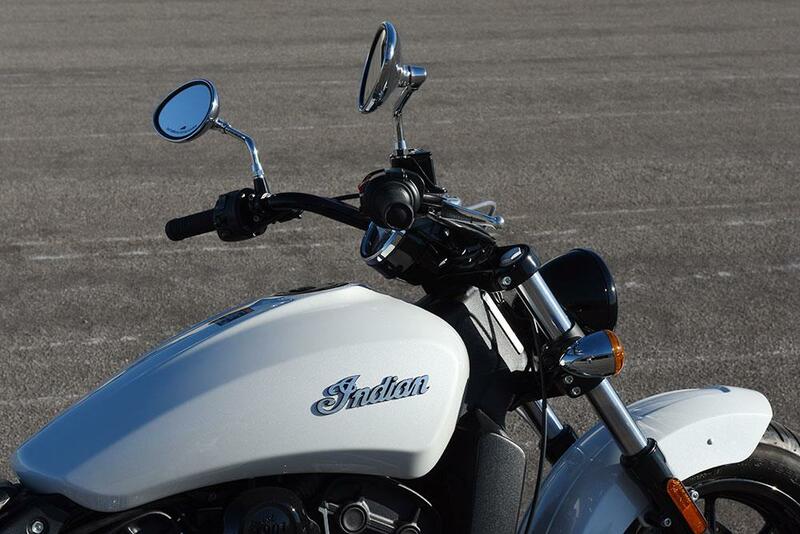 The power may be down on the larger Scout model but it remains class-leading according to Indian. 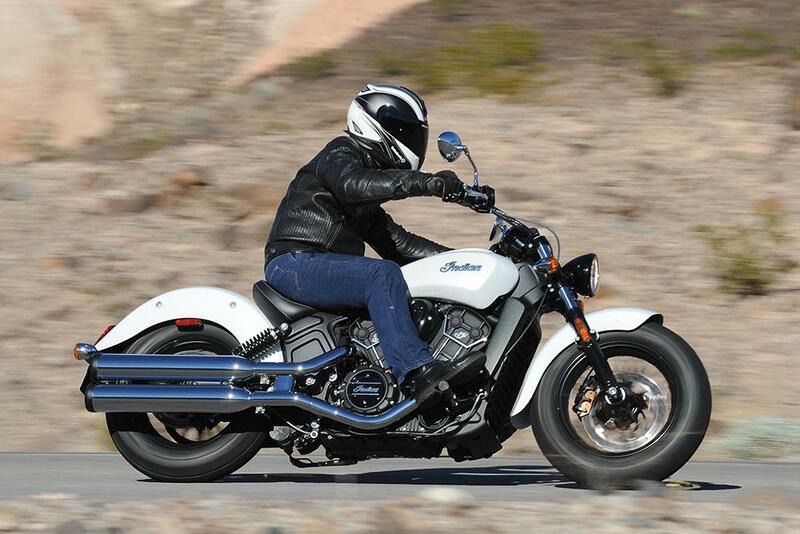 Opinions have been divided by some elements of the finish on the Scout sixty. I like the more technical appearance of some of the engine parts but others thought they looked a little cheaper than they should. The most obvious changes to the bike over the most expensive in terms of the appearance are the blacked out engine parts, fork bottoms, a modified headlight, clock surround, crackle-finish black frame and black wheels. The overall impression works well and the quality if the paint, the fit and finish and the style all look much more expensive than the £8999 asking price might suggest. This is a classy bike for the money which, while not perfect, is going to be able to give a great deal of pleasure and a real feeling of quality for a very reasonable price. There are people out there that aren’t going to enjoy the small tank range available from the fairly miserly 12.5litre tank. It’s going to result in stopping far more than some people find acceptable on longer runs. This is clearly not a bike designed for long touring runs; the lack of wind protection is another factor against that; but 12.5litres (albeit normal for the class) does seem a bit mean. In fact the wind protection isn’t too bad at all. Anything over 80mph is a bit blustery but normal motorway, fast A-road speeds are all fine. 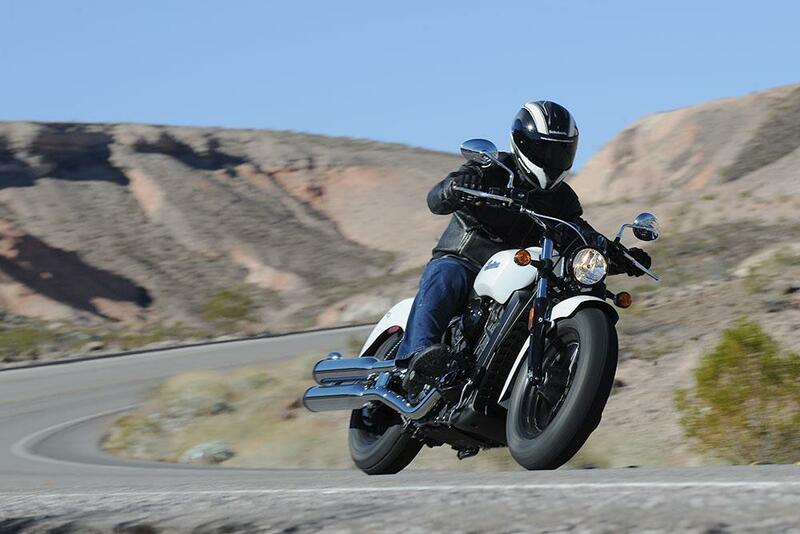 During the test in Nevada I covered several hundred miles on the bike and never found the windblast to be of note. We were testing US-spec bikes which weren’t fitted with ABS as they will be as standard in the UK and Europe so we can’t report on how good the ABS set-up is. Other Indian models have ABS that works efficiently and unobtrusively so we have no reason to think this model will be any different. There’s nothing to learn about in terms of rider modes, digital this or that or anything complex. It’s a motorcycle that has an engine, a steel fuel tank, a simple dash layout and the minimum of controls. There is a digital LCD display at the bottom of the analogue dial and with the switch on the left handlebar you can scroll through other information including revs, engine temperature, mileage and the trip mileage too. 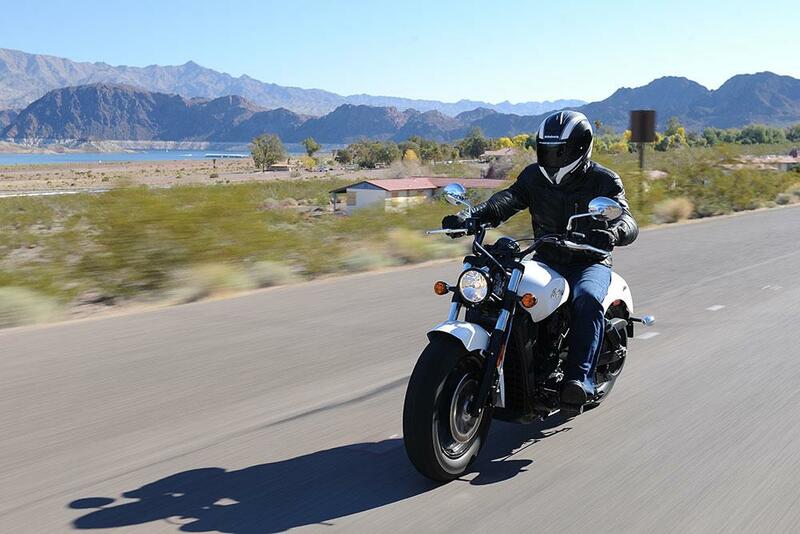 1 owner has reviewed their INDIAN SCOUT SIXTY (2016-on) and rated it in a number of areas. Read what they have to say and what they like and dislike about the bike below. I love the power and torque, which are decent for a cruiser. It puts a big smile on my face every time I ride it. The build quality is far better than my 2016 America. Being really picky, a helmet lock would be good. The bike seems to be a good all rounder. It handles really well and the ABS brakes are good. I have a single seat version and find the original seat comfortable for over 100 miles. I'm 12.5 stone. I've owned the bike since October 2018, 600 miles done so too early to comment. I love the engine and gearbox. I have fitted Avon tyres which seem to suit the bike. I also have Hepco/Becker panniers which will be good for touring.